To commemorate the 12th anniversary of NASA’s Mars Reconnaissance Orbiter at Mars (March 10, 2006) and the still-roving Opportunity, below is an edited version of an article I wrote back in 2011 showing Opportunity imaged by MRO’s HiRISE camera. NASA’s Opportunity rover on the edge of Santa Maria crater imaged by HiRISE on March 1, 2011. The eye in the sky sees all…especially when that eye is the HiRISE camera on the Mars Reconnaissance Orbiter! Here’s an image of a crater known as Santa Maria, taken from over 150 miles above the Martian surface by the MRO…and if you look carefully at the lower right portion of the crater rim you can see a small grey object that casts a bit of a shadow. 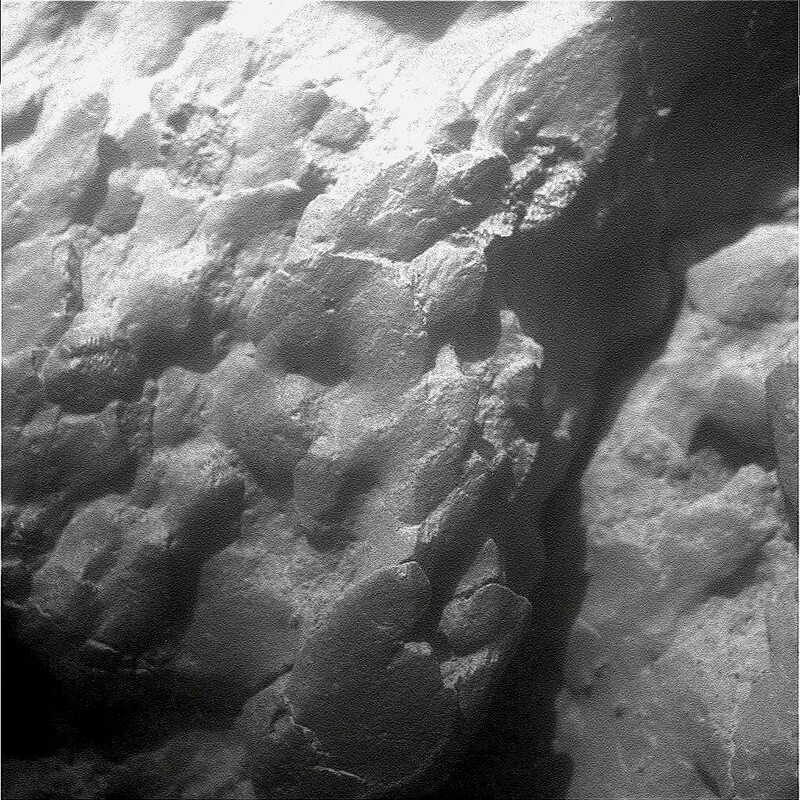 That’s the rover Opportunity, which has been investigating the area around Santa Maria for the past several months and was using its robotic arm to take close-up shots of a small nearby rock when the image above was acquired. 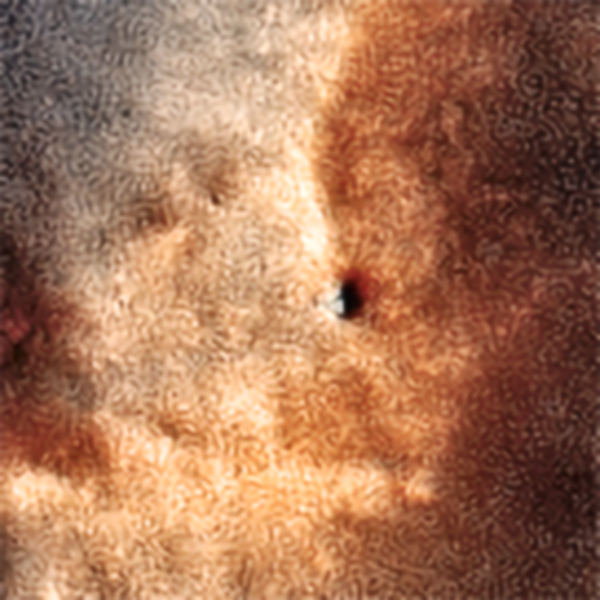 Enlarged detail of Opportunity in the HiRISE image. Opportunity is currently the only active robotic explorer on the surface of Mars. (Note: this was written a year and a half before Curiosity landed!) It has been steadily traveling across the relatively flat Meridiani Plains region toward the much larger Endeavour Crater, stopping occasionally to investigate interesting features such as rock outcroppings, standing meteorites and various craters – such as Santa Maria. Opportunity completed its three-month prime mission on Mars in April 2004 and has been working extended missions since then. The Mars Reconnaissance Orbiter, which arrived at Mars on March 10, 2006, has also completed its prime mission and is currently operating an extended mission. Opportunity’s sister rover, Spirit, fell silent over eleven months ago (now nearly eight years ago) after becoming stuck in loose sand and losing its ability to maneuver. MER team engineers have been trying to regain contact with Spirit ever since but no signal has been detected as of yet. Opportunity, on the other hand, is fully operational and in good roving form. Not bad for a little ‘bot that was originally intended for a 90-day mission! She’s making us proud, working away all alone on Mars. 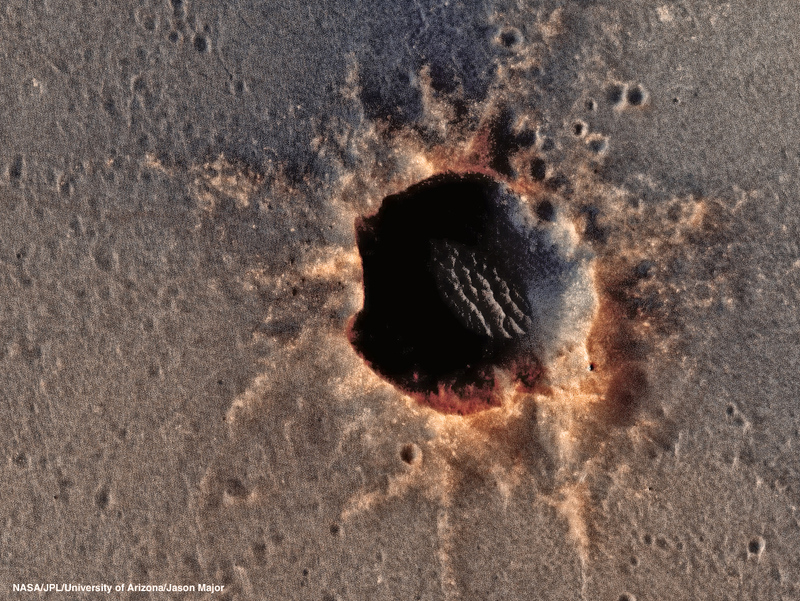 Learn more about Mars Reconnaissance Orbiter here, the HiRISE camera operated by the University of Arizona here, and Opportunity here. P.S. Be sure to check out Stu Atkinson’s The Road to Endeavour for updates on Opportunity’s progress and the latest images!